It would be great if we could reduce accidents by using environmental design such as city transit, non-motorized transportation and better signage so people could drive less. In the United States alone, traffic accidents are the leading cause of death for individuals 35 and younger. 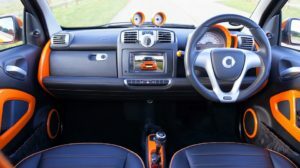 If you do not have a late model car or have not shopped for a car in the last decade; or if you are not a car aficionado, there are new developments in car design specifically devoted to safety. Are these new trends worthy and, basically, is today’s car safety better than yesteryear? We will get information from some experts and use studies devoted to that industry to find out. For our most precious: kids under 13 need to ride in the backseat as it is the safest place. Infants and toddlers should ride in a car seat that faces the back window until they are at least two years old. The seat itself is strapped into the car. It is recommended to buy a kid’s booster seat after a child is two and of a substantial size—it is oriented face front, and they will wear seat belts the right way woven through the chair. Generally, a booster seat is for a child less than 57 inches (145 centimeters) tall. You will have to do your homework to determine the best product for age and size. There are, of course, child safety locks on the windows and doors and young passengers should always keep their head and hands inside the window. Plus, make sure they enter and exit at the curb side only—never street-side. Just as an aside: did you know there are many states that prohibit adults from smoking in a car with a child under fourteen, even sixteen and eighteen years of age? It may be your state law. Automakers are trying to install better, more useful technology in their cars; they know that people don’t always modify their bad habits. One of the reasons children are in the backseat now, is to protect them from air bags. Airbags deploy in moderate and severe crashes, although they have been known to go off in lesser situations. The bags are supposed to work in conjunction with your seat belts and are meant to restrain your body and head from striking the interior or windshield. Airbags are available in both front and side panels. The front models date back to 1998 for cars and ‘99 for SUVs. The National Highway Traffic Safety Administration (NHTSA) says, “An igniter in the inflator starts a chemical reaction that produces a harmless gas, which inflates the air bag within the blink of an eye—or less than 1/20th of a second. Because air bags deploy very rapidly, serious or sometimes fatal injuries can occur if the driver or passenger is too close to—or comes in direct contact with—the air bag when it first begins to deploy." In addition, it pays for drivers today to be aware of airbag recalls and fake airbags. Auto radar is an interesting phenomenon. There are various types: Blind spot, crash warning, adaptive cruise control, active braking, lane departure, attention control, adaptive forward lighting, sign recognition, and night vision—and, in the future, the driverless car. Blind spot technology of course, picks up objects that may be blocked in a lane change, in particular to SUVs and minivans. An audio signal or light will alert you to traffic approaching from the rear. Crash warning systems allow the vehicle to see and estimate potential traffic threats by using a warning signal to avoid a collision. These work well with active braking systems which are automatically applied when a collision is imminent. The Adaptive Cruise Control (ACC) holds not only the speed like the former cruise control did, but also the predetermined distance to the vehicle ahead. It brakes to the car in front—monitors the headway interval—and also delays your own vehicle. Then, it automatically moves faster when the car in front is faster. Typically, it uses an audible warning. Plus, newer anti-lock brakes improve the stopping time. Lane departure is a warning that helps to combat sleepy or inattentive drivers. Tiny cameras or other monitor types scan lane markers, guardrails, and other roadside barriers. The vehicle’s position is noted in relation to these markings and sounds a warning if someone veers off the road. Attention control is similar only it uses a camera to monitor the frequency and duration of eyelid movement. It may actually say on the dashboard, “Take a break." The traffic sign recognition system uses a digital display to tell drivers about road signs. Adaptive forward lighting is cool in that it can vary the length, width, and direction of headlight beams in a swivel to either side (and lights up intersections and tight corners). Another great development in a variety of forms from numerous automotive manufacturers is night vision. It will improve the ability of the driver to see and judge potential roadway hazards. This all-seeing eye vision system employs a low-light camera to warn drivers of a potential threat not seen with the naked eye. A certain high-end manufacturer has a system that projects these images onto a right-hand display and then infrared laser headlights illuminate so drivers can spot hazards before they are noticed. With this, it gives the radar a complete panoramic view, couples its data with the images of a high-resolution camera and GPS, and drives the vehicle fully and automatically through road traffic. Here the vehicle must also pass an official driving test like a novice driver. The 1956 Buick Centurion Dream Car was a two-door vehicle that was equipped with an astonishing technological element for its time: a rearview camera. For SUVs backup rollovers have been a serious safety concern. Children are often the victims as the blind spot behind a tall vehicle can extend as much as 51 feet in the case of a small stature driver, 5-foot, 1-inch. Thousands of individuals have been affected by tragic back-over accidents, especially those involving children and seniors. On March 31, 2014, the U.S. Department of Transportation (USDOT) and the National Highway Traffic Safety Administration (NHTSA) declared that by May 1, 2018, all cars, SUVs, trucks and vans would be required to have rear-view visibility systems. Under the new legislation, all vehicles are required to provide drivers with a 10 foot by 20-foot view of the area that is directly behind the vehicle. The great thing about radar is it works in heavy rain, fog and all sorts of inclement weather conditions. From wartime use we know it penetrates obstacles, and for a car usage, that can be such things as shrubs or tall grass. And, like an owl, radar can turn its head in any direction, but, much better than our feathered friend however, because radar can scan different directions at the same time! You can sync your phone to your car. This system uses Bluetooth wi-fi to hook up your mobile phone into vehicle telematics. By integrating communication and information, it allows the user hands-free technology. It also incorporates a Global Positioning System (GPS) with an on-board computer to perform a wide variety of tasks such as audible maps. In 1996, OnStar became the first company to install such technology in cars. The service offers hands-free calling and turn-by-turn direction assistance, as well the ability to access a call center staff that can troubleshoot lock-outs, airbag deploys, or contact police. Exum, Kaitlen Jay and Lynn M. Messina. The Reference Shelf: The Car and Its Future. New York & Dublin: H.W. Wilson, 2004. Book. Herrington, Lisa M. Car Safety. New York: Scholastic, 2013. Book. Mara, Wil. What Should I Do? IN THE CAR. Ann Arbor, Michigan: Cherry Lake Publishing, 2012. Book. Andreev, Nik. Confused.com. “A brief history of car parking technology"
Top Ten Reviews. “5 Reasons to Buy a Car GPS in the Age of Smartphones."